We see many alligator lizards around here and I've posted about these reptiles before. This is the first time I have seen one in a tree. 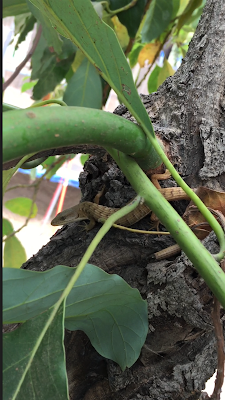 It is a little hard to spot, but this alligator lizard has kind of wrapped itself on the limb of an avocado tree.